Muscle spasms can occur in any muscle in the body, however, in my practice I usually see patients with muscle spasm in the back, neck, lower legs and feet. While most muscle spasms in the back are harmless and can be effectively treated, some indicate that there’s an underlying issue that needs to be addressed. First, What is a Muscle Spasm? In general, Muscle spasms, also known as muscle cramps, occur when a muscle involuntarily and forcibly contracts and is unable to relax. Usually, muscle spasms involve part or all of a muscle, and in some cases may involve several muscles in a muscle group. Muscle spasms usually last from seconds to 15 minutes, and possibly even longer. Additionally, they may happen multiple times before finally going away. The pain associated with muscle spasms can vary from mild twitching to severe pain. While some muscle cramps don’t interfere with physical activity, others can be debilitating. •	The affected muscle may feel harder to the touch than normal. •	The affected muscle may appear visibly distorted. •	The affected muscle may appear to be twitching. •	Muscle soreness that may last for days following the spasm. A spasm in the back can occur as the result of any type of strain or injury to the soft tissues of the back, including the muscles, ligaments, and tendons. For example, heavy lifting, as well as sports that involve sudden and repetitive movements, are common causes of muscle spasm in the back. However, any type of activity that puts excessive strain on the muscles of the back can lead to an injury, and subsequently muscle spasm. If you notice that your back spasms aren’t getting better, or if they repeatedly happen in the same area of your back, you may have an underlying issue with your spine, such as a disc herniation, spinal stenosis, arthritis, and/or degenerative disc disease. In cases where there is an underlying anatomical issue, the muscles of your back react to the pain and inflammation by going into spasm. Strong abdominal and back muscles help to provide support to the back and prevent muscle spasm. On the other hand, weak or stiff muscles can be injured more easily, leading to muscle spasm in the back. Recreational and competitive athletes commonly experience exercise associated muscle cramps. This type of muscle cramp occurs during, or shortly after, exercise in healthy individuals that have no underlying medical conditions. Exercising, especially in hot and humid conditions, can lead to an increased risk of dehydration and muscle cramps. Magnesium and/or potassium imbalance may contribute to muscle spasms because the muscles are unable to properly contract. Causes of electrolyte imbalance include excessive working out without properly hydrating afterwards, the start of your menstrual cycle, and/or consuming a diet that is high in processed foods and low in fresh foods. If you’ve been suffering with muscle spasms in your back, you can try these natural remedies to get relief. Apply a gentle massage using a massage ball or foam roller, to the affected area until the spasm subsides. 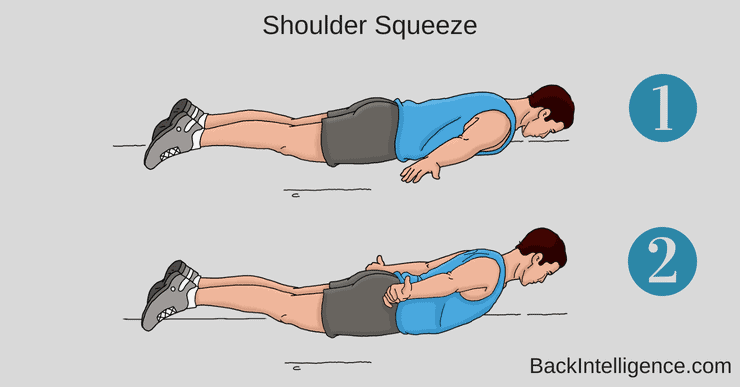 Once the muscle spasm has subsided, stretch the affected area. Applying an ice pack to the affected area for 10 to 15 minutes for the first 24 to 72 hours following a muscle spasm can help to relieve the pain and inflammation associated with an acute muscle spasm. After the first 72 hours, applying a moist heat pack to the affected area for up to 20 minutes can help to soothe the pain associated with muscle spasms and increases blood flow to the area, which promotes healing. Some people find that alternating the two therapies provides optimal results. 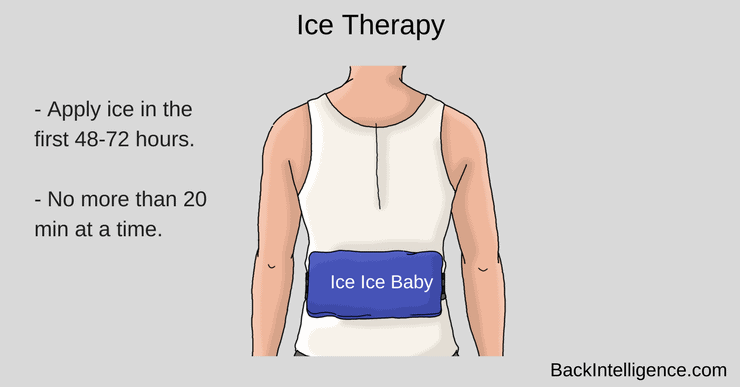 Learn more about Ice versus Heat for back pain here. As mentioned above spasms may occur due to underlying weakness in some of the back muscles. You need to strengthen these muscles using corrective exercises. Some of the weak muscles include Rhomboids and middle/lower Trapezius muscles. When resting in bed, you may find that the most comfortable position is on your back with pillows placed under your knees and a rolled towel or small pillow placed in the small of your back. 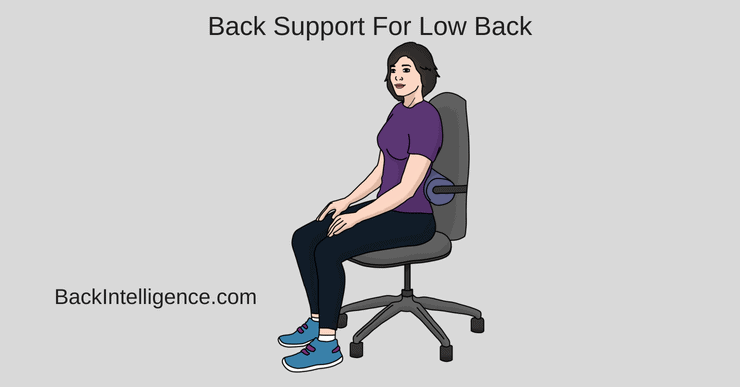 Also, when sitting in a chair use a back support cushion to maintain a better posture. This helps to support the natural curvature of your back, and takes pressure off the lower back by providing additional support to the area. Epsom salt is naturally rich in magnesium, and taking a warm bath allows the magnesium to seep into your skin. 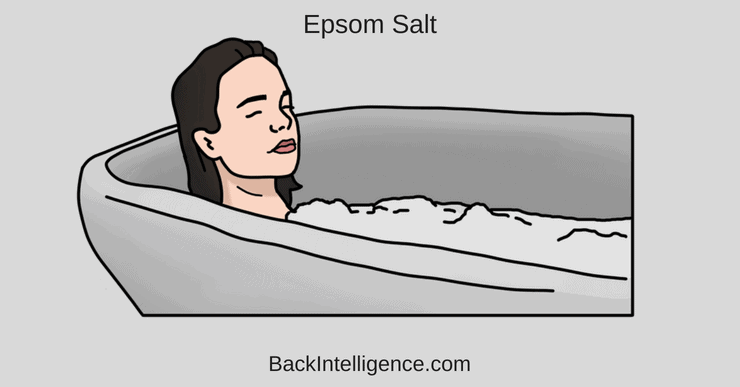 Epsom salt baths help to relax muscles, detoxify the body, and even help to prevent magnesium deficiency. •	Maintain a healthy weight – if you’re overweight, you increase the stress on your spine and joints. •	Improve your posture – improper postures such as being hunched over all day can increase your risk of back spasms. Ensuring that you maintain proper posture, and using ergonomic aids when needed provide the stability and strength that your back needs and minimizes your risk of back spasms. 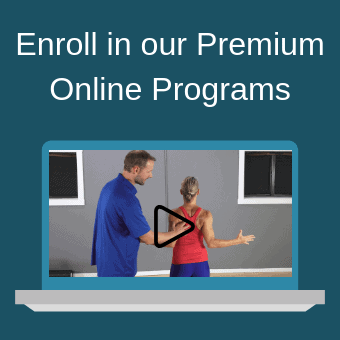 •	Exercise regularly – engaging in a stretching and strengthening program for your back and core muscles, and regularly participating in some form of cardiovascular activity, will help to keep your back healthy and minimize your risk of back spasms. •	Warm up and cool down before exercising – properly warming up and cooling down before and after exercise can help prevent your muscles from becoming fatigued, strained, or injured. Before working out, try jogging in place and doing sport-specific movements that help to get your heart rate up and blood flowing to your muscles, ligaments, tendons, and joints. After your work out, take about 10 minutes to stretch the major muscle groups of your body to help prevent muscle spasms. •	Stay hydrated – dehydration can lead to muscle spasms. Ensure that you’re consuming enough water for your body size and activity level helps to minimize your risk of back spasms. 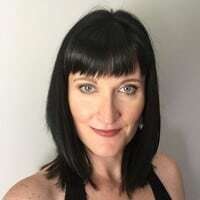 If your muscles spasms are severe, if they happen often, don’t respond well to home treatment, of if they’re not related to an obvious cause, you should make an appointment with a healthcare practitioner as it could be a signal that there’s an underlying issue that needs to be addressed.